Mantos I.T. Consulting, Inc. | Mantos I.T. 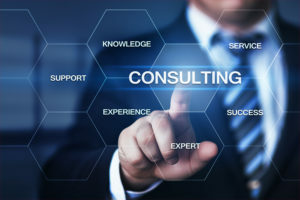 Consulting, Inc.
A good Computer Consultant ensures that you are using computers and information technology that aligns best to your organizational goals. So that means you need a trusted professional; a truly educated, and experienced computer consultant. Most importantly, we speak in non-technical terms that directly relate to your business success. We help small to medium sized organizations leverage the best of information technology. Computers are confusing to many people and seem difficult. Due to constant technical "advances", getting a handle on I.T. is a problem. That's why you need a computer consultant. Many managers of small and medium sized organizations find I.T. frustrating. Unlike big business, they are too small to have their internal I.T. staff. Yet, they have the same I.T. questions as larger enterprises. Therefore, they need someone from outside the organization. Specifically, they need someone who can be trusted to answer those questions. We are in the computer consulting business and we make it our business to know what I.T. works well, and what to avoid. Furthermore, we look for emerging opportunities of which you might not even be aware. First, we learn about your organization, your challenges, and your goals. Then, we show you alternatives and help you decide what I.T. is right for you. Most importantly, we are part of a network of trusted advisors who are interested in helping you succeed. Because if we cannot serve you directly, odds are we know people who can and are more than happy to introduce you to them. Expert Advice to Achieve your Goals using I.T. Mantos I.T. Consulting, Inc. is a small firm who wants to share your passion, goals, and plans. Without a doubt, our most important desire is for you to let us help you achieve them using our world-class IT experience. Most importantly, we partner with your people, your IT vendors, and our extensive network of I.T. partners to support all of your I.T. needs. As well, as a member of the Trusted Advisor Network, we have access to all the resources you need above and beyond your computer consultant needs. We want to help you help your organization thrive in today's market. To do so, you have to make better use of I.T. than the competition. So let's get started with a free, no-obligation, initial consultation. When you're ready to explore the exciting possibilities that await you, please, contact us or use the online scheduler to pick the time and place of your choosing.